Our organic carrots have a new home at a local food pantry. 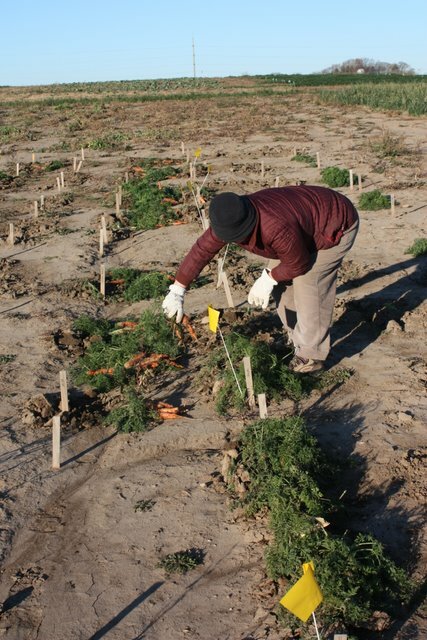 Two very hardy food pantry volunteers harvested carrots early this Friday morning. 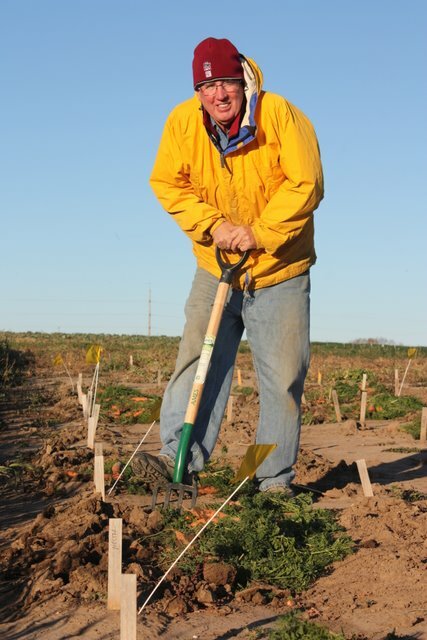 The temperature was 31 degrees and the wind blowing at 12 miles and hour, but two die-hard Middleton Food Pantry Volunteers harvested over 170 lbs of carrots. This is the last donation that we will provide to food pantries this year. We have provided over 900 lbs of watermelon, 1,200 lbs of tomatoes, and hundreds of pounds of squash, peppers and eggplant.